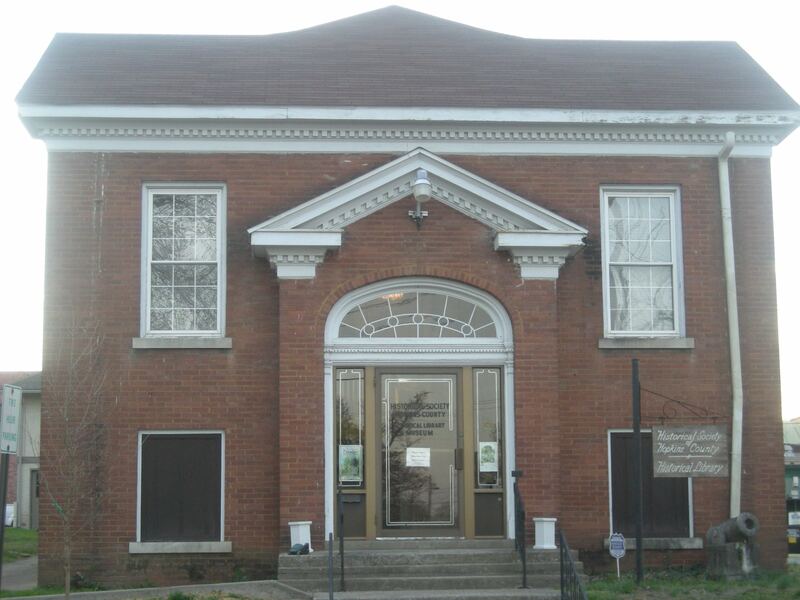 The Historical Society of Hopkins County was established February 5, 1974 with Vernon Gipson as acting chairman and Tim Cantrell as acting secretary of the community committee. Harold Ledbetter was elected President, a post he held for the next five years. D. W. Dockrey was elected vice-president; Faye Cardwell, secretary and Joe Gooch, treasurer. 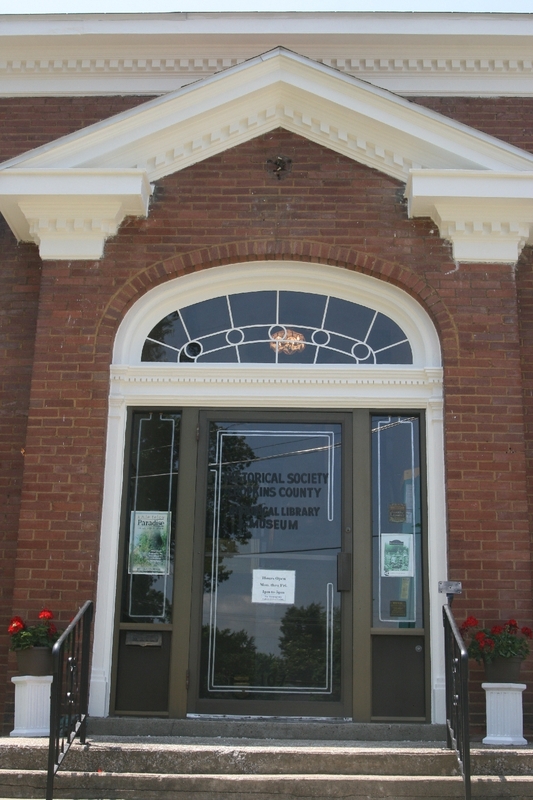 From this beginning the society has grown to be a leader in preserving Western Kentucky history, with an annual publication and many special publications, with over 400 members and a regular program at the monthly meetings held at 7 pm on the second Thursday of each month in the Museum on Union Street. Other Presidents of the society have been Tim Cantrell, two terms; Irene Priest, two terms; Randall Teague, one term; Donna Slaton, two terms, Charles Lowther, one term, and J. Harold Utley, who held the post from 1988 until 2010, Robert Adkins, Pres 2011-2013. Current President is Donna F. Slaton, Vice-President Randall Teague, Secretary Debby Allen, Treasurer Margie Bowman, and board Allen Davis, Peyton Adams, Bob Thomas; directors Emeritus Bob Adkins, DW Dockrey, Jimmy Harris and Hopkins County Historian Carl Veazey. I am a descendant of William Castleberry. His daughters we married in the. County (they married Howton brothers) and I believe William, a soldier in the Revolution, is buried in Hopkins Co.
Any information or contacts would be appreciated. D. A. Bass-Frazier, Mobile, Ala. This is for Carl Veazey, I am an Ashby and was wondering if he has visited the Old Salem Methodist Church just east of Slaughters KY on road 1033. There is a tombstone with Capt Stephen Ashby there. Middle name is Whitson, My family is all buried there. My great great grandfather was Waverly Hibbs, owned/ran a gross store in Madisonville in the early part of the 1900’s. His wife name was Nannie Hibbs. I have just found a picture of Waverly holding my grandfather, who was approx. 3-4 years old, so picture would be from mid-1920’s in front of the store. Is there anyone who could help me with more details on them? Hello. My Great Grandfather Thomas Gaunt was born in Kentucky in 1811 and filed a land claim in Hopkins County near Richland Creek in 1833. I was wondering if you had any information on him and his daughter, Susan. If not, could you provide me with where I could find the information, as I will be in the area this October. Margie Bowan docent replies: Brian, this is what I have found so far, your Great Grandfather Thomas was born in Kentucky. Later married to Mary then had a daughter named Susan in 1834. Then moved to Indiana had a son John in 1838. You can call the Hopkins Co. Clerk Office for the Deed at 270-821-7361.